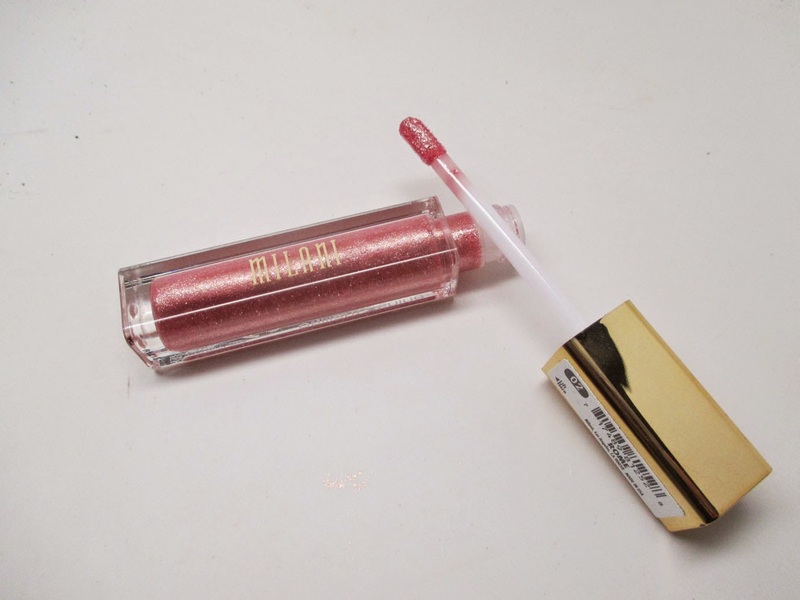 I recently had the opportunity to test out some fabulous new glosses from Milani. If you're all about sparkle and shine, this ones for you. Check it out! 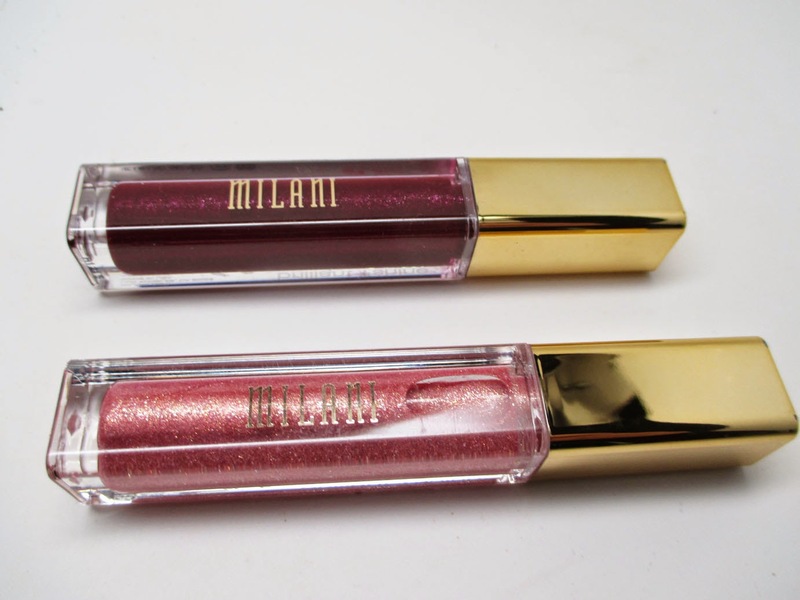 The new Brilliant Shine Lipglosses from Milani are packed with color and flecks of light reflecting glitter. I received two shades to test out - Florence and Rome. Florence is a gorgeous, deep wine shade with tiny flects of blue based glitters. 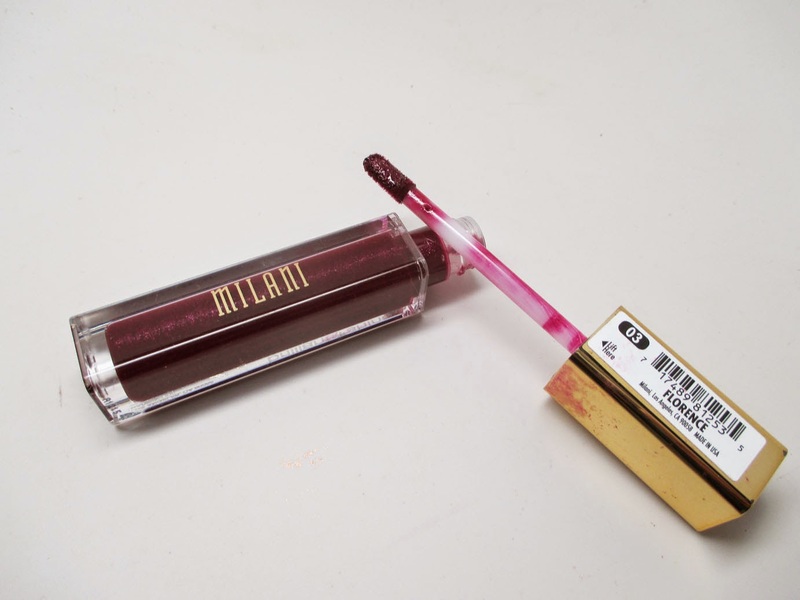 I was actually surprised at how intense and pigmented it was on the lips. It really packs some color. 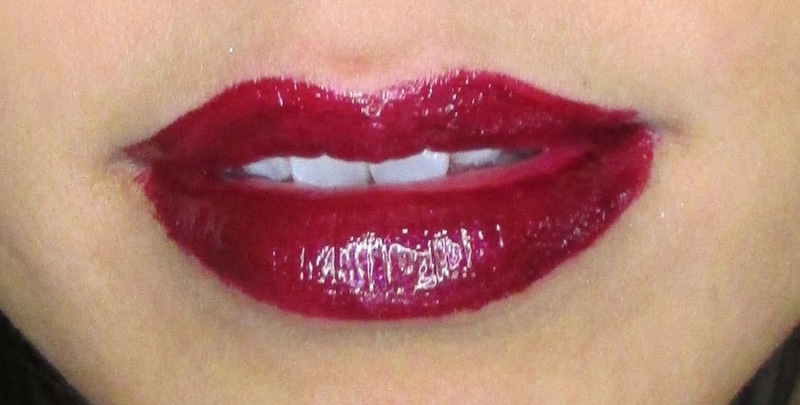 However, I did have a problem with bleeding and feathering even after rocking lip liner and concealing around the lips - gorgeous color though. Rome is a a very light pink shade with champagne reflects. It looks much more pink in the tube than on my lips. 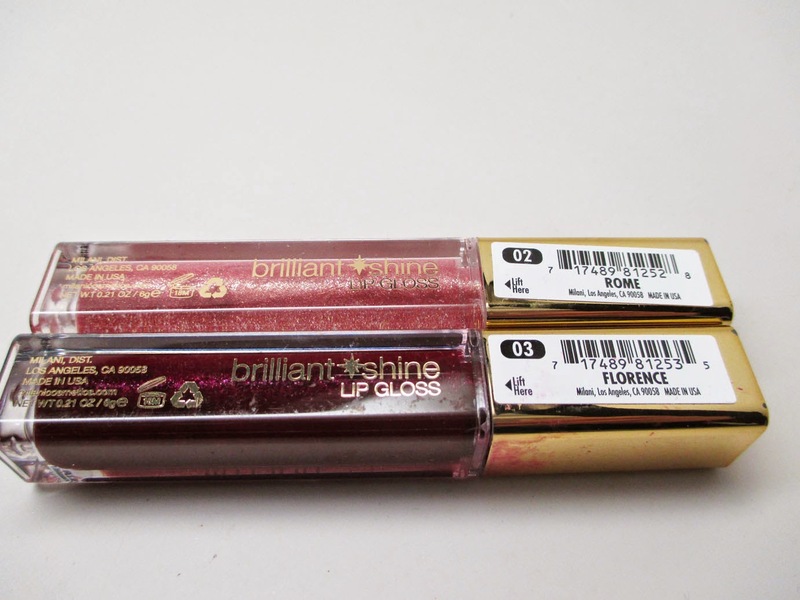 I'd say on the lips it looks much more like a reflective overcoat - something I'd have to pair on top of another lipstick to get color and then Florence is added for shine. 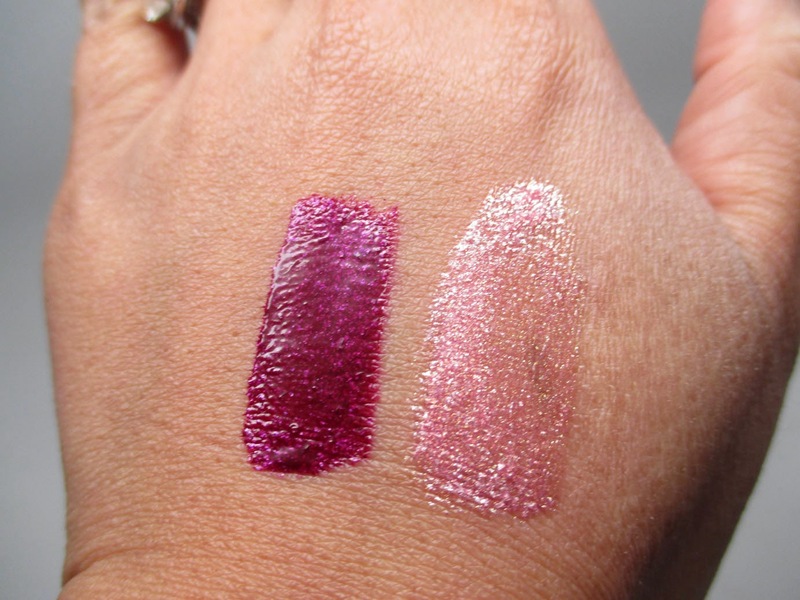 On my hand the swatches actually look a bit more pigmented than on the lips. The swatches don't feel gritty despite the glitter. I think the colors are super pretty but pigmentation definitely differs between the two and definitely bleeding was a concern. I hope this review helped! Till next time, Ciao Bellas!